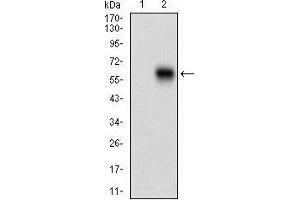 Western blot analysis using CAMK2G mAb against HEK293 (1) and CAMK2G (AA: 322-481)-hIgGFc transfected HEK293 (2) cell lysate. 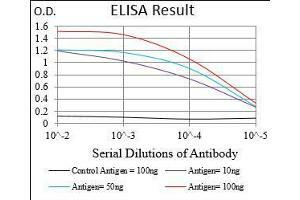 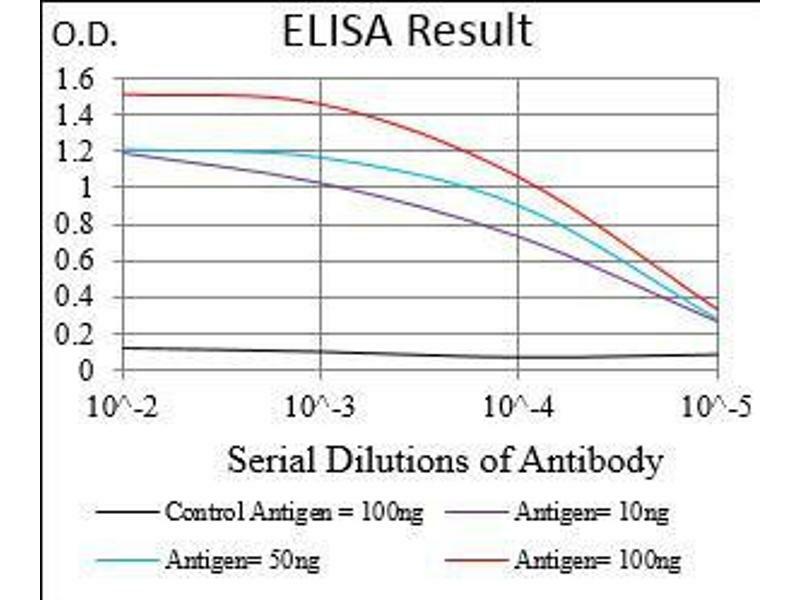 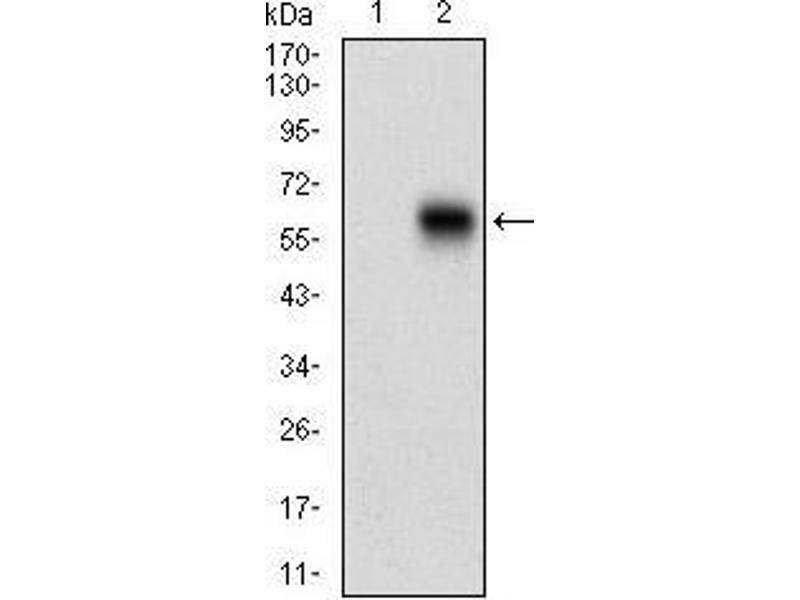 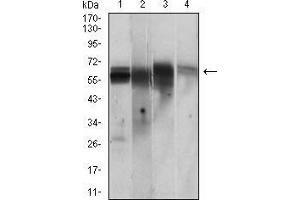 Western blot analysis using CAMK2G mouse mAb against PC-12 (1), Jurkat (2), T47D (3), HepG2 (4) cell lysate. 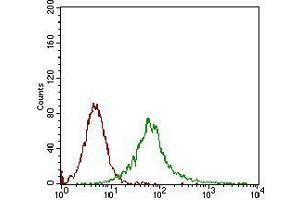 Flow cytometric analysis of Jurkat cells using CAMK2G mouse mAb (green) and negative control (red). 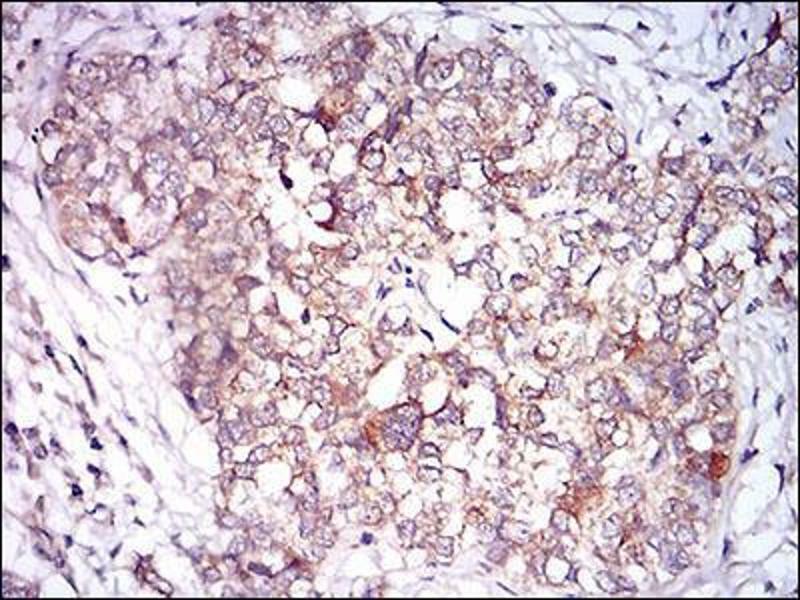 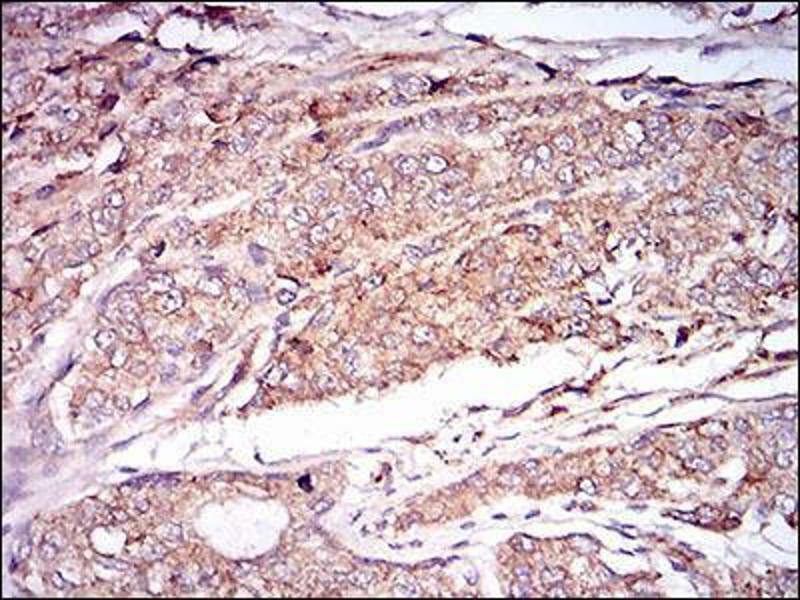 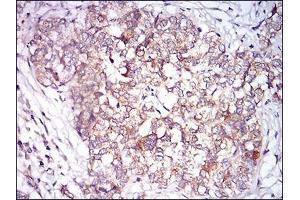 Immunohistochemical analysis of paraffin-embedded prostate cancer tissues using CAMK2G mouse mAb with DAB staining. 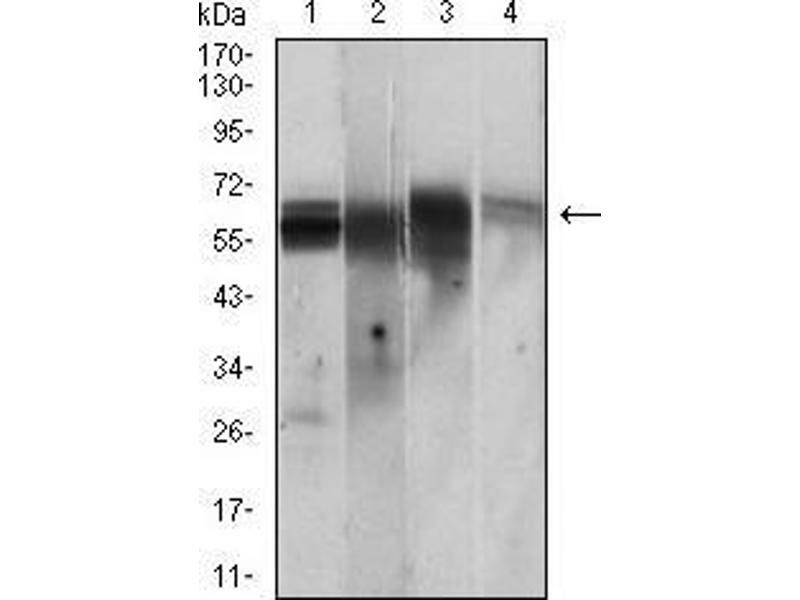 Immunogen Purified recombinant fragment of human CAMK2G (AA 322-481) expressed in E. Coli. 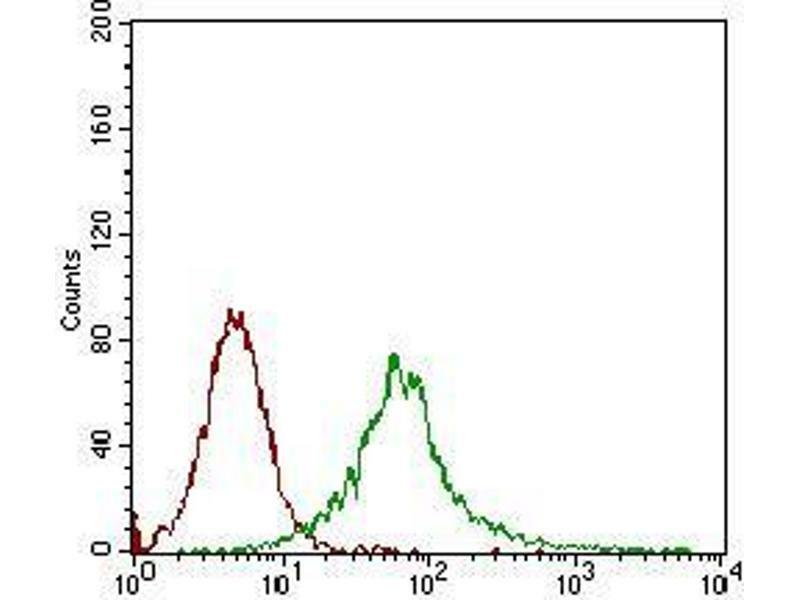 Buffer PBS with 0.05 % sodium azide. 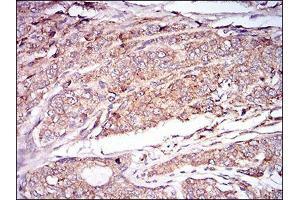 Immunohistochemical analysis of paraffin-embedded bladder cancer tissues using CAMK2G mouse mAb with DAB staining.